Do you ever feel that reaching minimalism is two steps forward, one step backward? That getting to a point where you have “enough and no more” is a struggle? I feel that way sometimes. When I first decided that minimalism was for me, I thought it would be easy. I figured I’d just cull all the junk, sell the stuff I didn’t need and – hey, presto! – I’d be a minimalist. Insta-minimalista! 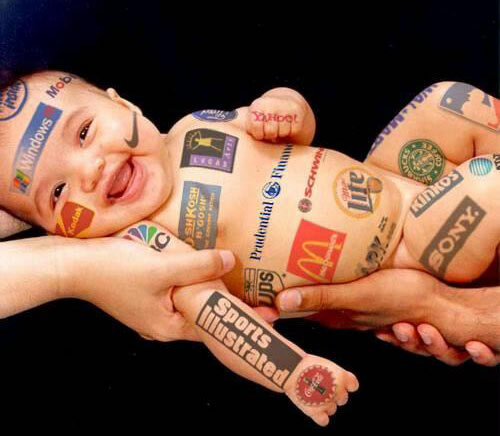 We live in a consumer culture, and I come from a particularly consumerist family. My family buys stuff to prove our love for each other. My mother shops to make herself happy, and buys toys for my kids to show how she cares. That’s not a bad thing, and she’s a wonderful person. Don’t get me wrong. But unfortunately I picked up those same shopping, consumer-y habits from her. I learned to shop when I was down, and buy stuff for others to show my love for them. I learned what I saw. And when I decided I had too much stuff, and wanted less in my life, I found it very hard to change. I’d start with the best intentions, but soon I’d find myself out shopping for something new. I’d realise I just needed this or I just had to replace that. There was always a need for more. There was always a way to use up every last cent I had. I’d even find myself buying replacements for food we hadn’t eaten yet. That toothpaste tube that was 1/4 full? Better buy the next tube now, so we’ve got some more for when it empties! I’d get this odd joy in using up the last bit of soap or last squeeze of toothpaste or shampoo. Because then I could use the new one. I don’t understand it even now, but maybe you’ve felt something similar. It’s the joy of consumerism. Addiction to using new stuff. It made me feel special, and valued, to be using something new. I don’t get it, but by trying to explain it here, I’m trying to understand and come to terms with it. I think consumerism – and shopping – are addictions. Just as much as eating can be an addiction, or smoking can, or drugs. And it’s killing us. It’s making us miserable, and it’s making us poor, and it’s wasting and cannibalising our lives and our happiness and our planet. This endless consumption is a disease with we humans. Finding a way out of the madness. Minimalism is a search for a way out of the madness. And I believe we can do it. But, like quitting any addiction, it’s two steps forward, one step back. 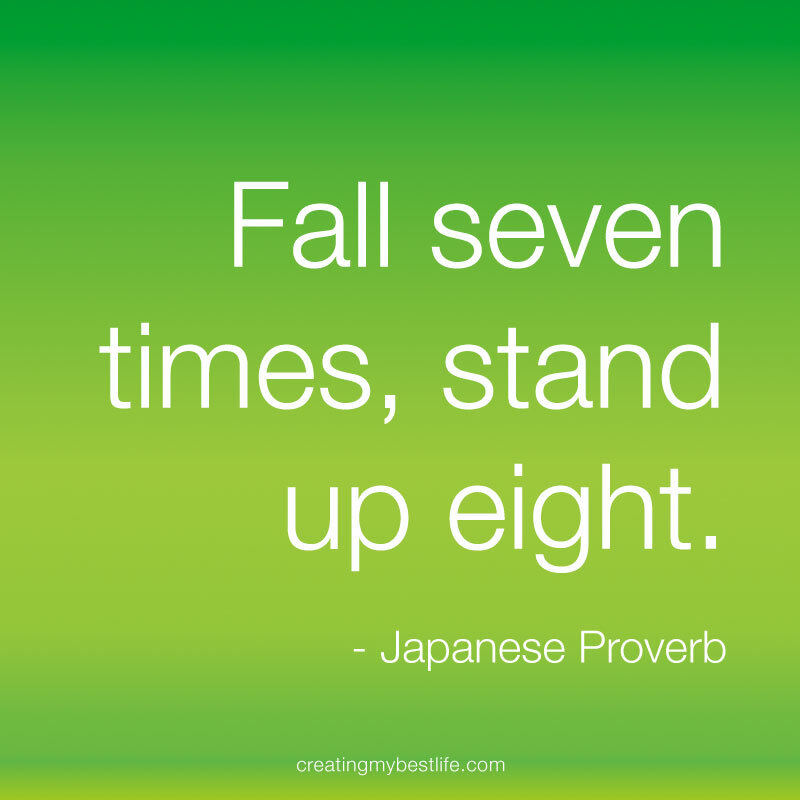 The Japanese have a saying: Fall seven times, stand up eight. Be stronger than your weakness. It doesn’t matter how many times you fail, as long as you get up again, and try again. So be gentle on yourself. If you, like me, find change a struggle, don’t be harsh on yourself. Remember that all change is difficult. But the fact that you’re making the change, and doing your best – that’s something to be proud of. We’re human, not machines. We make mistakes. But we’re persistent little blighters. And I believe we can transform our lives in miraculous ways. We just need to stand up. It’s really hard to change. I think this is one of the things a lot of minimalists don’t really talk about – they just seem to instantly be minimalists, with no struggle. Whereas I really struggle! I think most people do too, to be honest about it. Reblogged this on The Florida Minimalist. I read from a professional organizer that to get organize, you have to get rid of all of the things you don’t need. After all of these years of buying bins when we just don’t have a “place” for things, this made sense. I have gotten rid of so much. Not to mention all of the toys that the boys look over because they have so many. It really does dig into the finances. So, I am not purchasing anything unless I need it (leaving my money at home) and I am trying to get rid of things and clean out drawers to use them for the proper things. This has been a job by itself. But reading your posts gives me that extra boost and motivation. Thank You! I went through the “organisation” phase too – I figured that, if I had enough cupboard space and storage boxes and gizmo-gadgets, I’d be set. But life doesn’t work that way. What I found instead was that my junk expanded to burst the banks of all the cupboards and boxes, and I was back where I started a few months later, except with a bigger mess to deal with! I think the key to it all is discipline, and that’s one skill our culture seems to be not so good at. We need to learn to discipline ourselves, our spending, and our collections of stuff. It’s something we don’t tend to teach our kids, and it isn’t trendy. But it is sorely needed. Thank you! I agree about discipline… It is definitely a family affair. I wish you well also, this definitely is a sanity tester..ahhhh! That toothpaste tube that was 1/4 full? Better buy the next tube now, so we’ve got some more for when it empties! Yep — me, me, me! Even though I am more aware of myself doing this…it still happens. So I regroup, start over, and focus on what’s important. This post resonated deeply with me because it explains what I, too struggle. I KNOW in my CORE and in my SOUL that giving up shopping and materialism equals more happiness and joy. It is my daily prayer that I understand and get there. I think the change came for me when I realised that it’s okay to struggle. I know that sounds weird, but it really is. 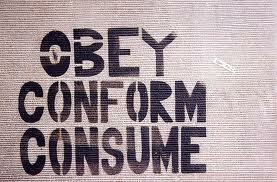 We expect so much of ourselves, and expect that we can change and be these amazing non-conformists overnight. But life doesn’t happen that way. Guess who just went out and bought a spare tube of toothpaste? Yep, me. I’m still struggling, and I still see myself doing things I know I should know better about. I’m still working hard to change, and I still fall down all the time.